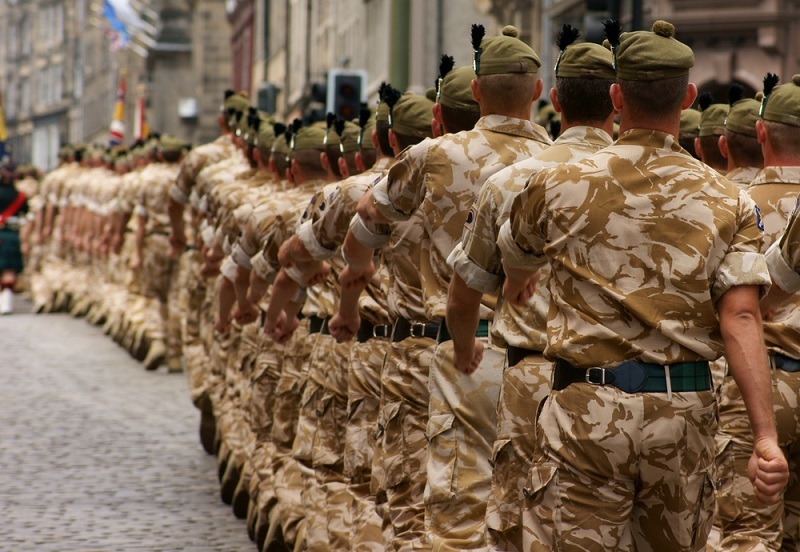 If I am a member of the armed forces, can I claim compensation for an injury? Members of the Armed Forces have the same legal rights to claim compensation as teachers, nurses, construction workers and the rest of the working population. There are a few exceptions but generally, military personnel can claim compensation for injuries sustained in their line of duty. Where a serviceman or woman is injured as a result of someone else's negligence, they have very much the same rights as other workers to claim compensation against the person or body responsible for the injury – in most cases this will be the Ministry of Defence. As well as making a claim against the person responsible for the injury, those who work for the military who have been injured at work can make a claim under the statutory no fault Armed Forces Compensation Scheme or War Pension scheme. Can I make a claim if I sustained my injury during war or conflict? This is one of the potential exceptions to your right to make a personal injury compensation claim as a serviceman or servicewoman. This is sometimes referred to as "Combat Immunity". The law in this area can be quite complex. Each case is assessed on an individual basis pertaining to the facts of the case. Generally, if service personnel are injured when preparing for or engaging in war or war like activities, then the right to claim compensation from the Ministry of Defense is suspended. On the other hand, where an injury is not related to combat, usually combat immunity will not apply.In these circumstances and the ordinary rules and principles of personal injury actions should apply. A serviceman is injured as a result of a collision between two military vehicles in an area where there is conflict. Depending on the exact circumstances surrounding the accident, this may or may not be related to combat. If it is not related to combat then a successful compensation claim could be made in the same way as if the accident had happened between two regular vehicles in the UK. However, if the collision had occurred during the course of combat, the MoD may successfully argue the accident will be subject to combat immunity. There has though been progress to the benefit of the injured in this area. The Courts have become more lenient on this rule, for example where the injury was caused in combat but as a result of defective equipment, combat immunity may not apply. Most injuries sustained by armed services personnel actually occur outside of combat – usually in the same way civilian injuries happen. Can I make a claim whilst I am still in service? It is commonly believed that military personnel are not able to pursue claims for compensation against the MoD or make claims under the Armed Forces Compensation Scheme until they leave the service. This is incorrect and it is important that such injured individuals understand their legal rights and what they are entitled to under the law. If you have sustained an injury from a military accident and are considering making a claim, you should contact a specialist personal injury solicitor as soon as possible as time limits will apply even if you continue to be part of the Armed Forces. What is a Board of Inquiry (BOI)? A Board of Inquiry (BOI) or Regimental Inquiry is a statutory service investigation into any serious military accident, causing injury or death. The Board may also investigate any other matter it considers appropriate. BOI's are subject to 'Queen's Regulations' that outline that the inquiry is to be kept entirely domestic. The inquiry is not a court and thus special permission must be obtained by the press or public if the wish to gain information on it. The idea behind a service Board of Inquiry is to find out what went wrong to cause the accident or injury and why this happened so that is doesn't happen again. The BOI will be a panel or tribunal and does not always have the same composition. The president must be an Officer of at least the rank of Captain. There must also be two other Officers, either an Officer or a Warrant Officer. The Board should be convened within 48 hours of the relevant incident happening, however it must not proceed or be adjourned where it seems as though a criminal prosecution is likely. If this is the case, the BOI may not be reconvened until the relevant criminal proceedings have ended. Usually, the MoD will provide the next of kin of the injured with the opinions, findings and recommendations of the BOI and give then the option of having the full BOI report if they would like it. How long do I have to bring a military accident compensation claim? Personal injury claims brought by military personnel are subject to the same time limits as other personal injury actions made by civilians. Usually, the deadline for brining an action is three years from the date of the accident, however there are some exceptions. Your solicitor will be able to clarify this for you. Armed Forces Compensation Scheme (AFCS) claims must be brought within 7 years of the accident happening or when medical advice was first sought after retiring from the Armed Forces where no one incident in particular caused the condition. There are also special rules in certain circumstances where symptoms only develop at a later date, if this is the case you should discuss this with your solicitor. For more information about personal injury actions generally. Read our guides here.